Amish Handcrafted Bridle leather belts. Made in the USA! 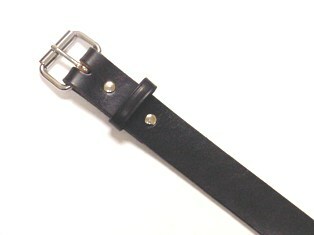 All belts are 1 1/2" wide with Stainless Steel Roller Buckle. Note: Sizes 64-80 allow 2 weeks for delivery.